Adverts are submitted free of charge. They will be removed approx 3 months after date of entry, or on notification from seller. 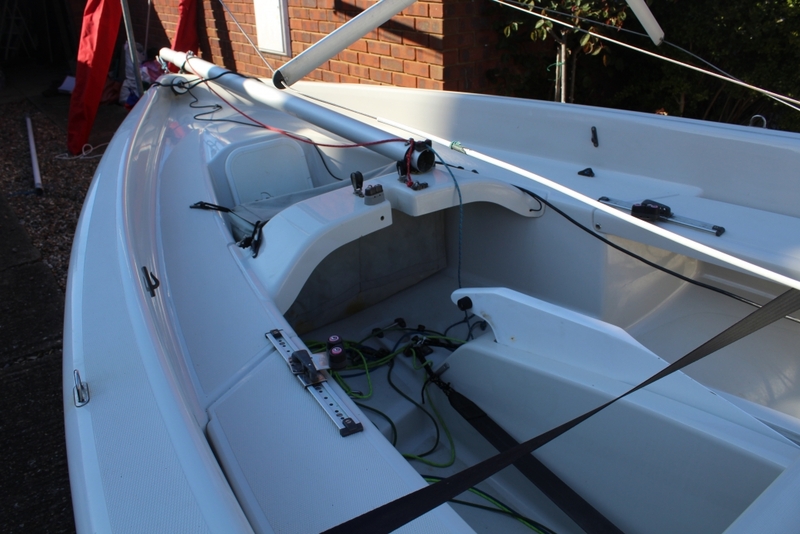 boat name Windrift. 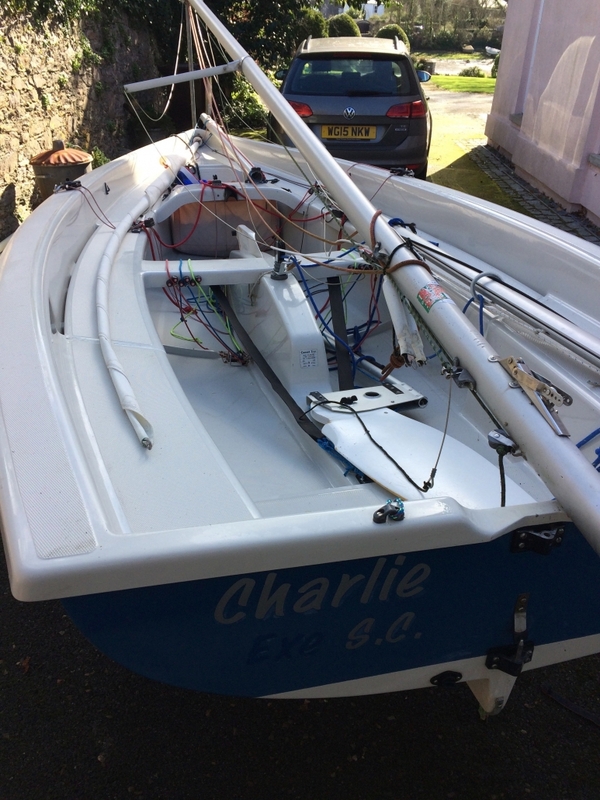 In very good condition Yellow Hull, Centre Main Sheet, Full Race Kit, Outboard Pad. Rear and Front Storage Lockers. 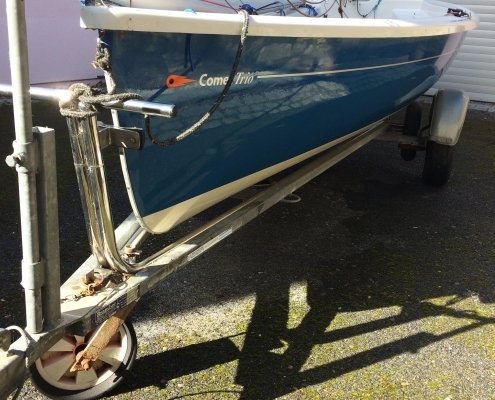 9′ Oars and Rowlocks, Boom up Cover, Combi Road Trailer, Jockey Wheel. 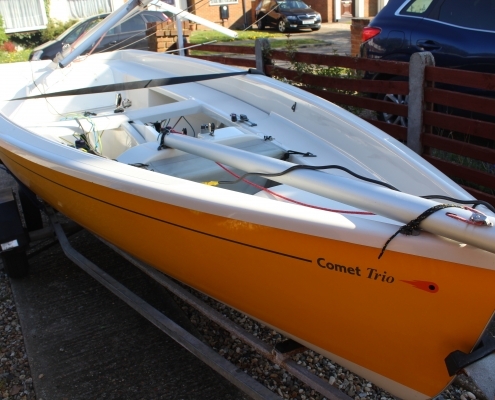 £3250. Contact Richard Gower, Telephone 01227364762, Mobile 07788620968, Email r.gower386@btinternet.com. Location Herne Bay Kent. Very good condition. 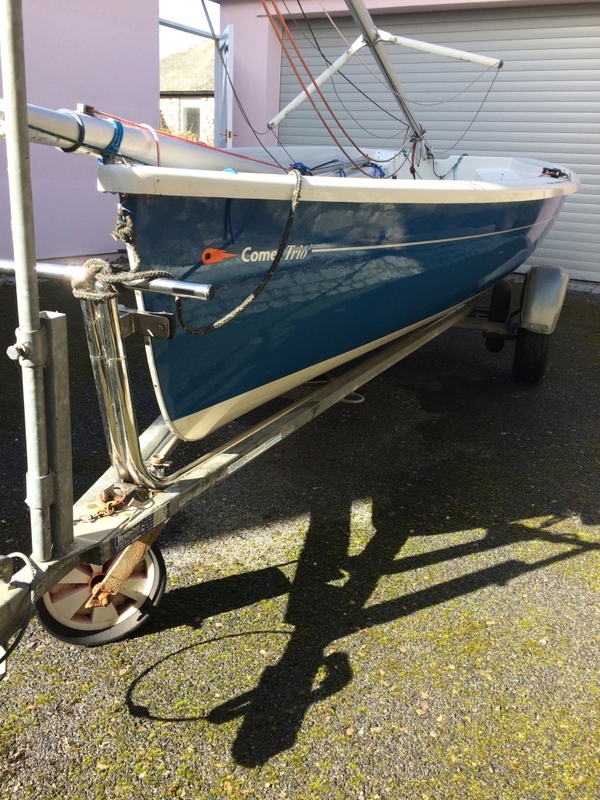 blue hull. owned and raced since 2011(2nd owner). 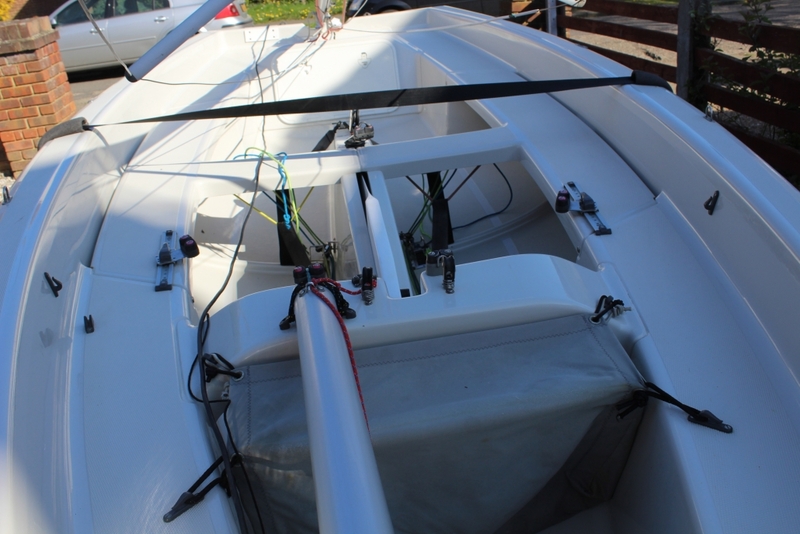 Centre main and full race kit with control lines to hand etc. 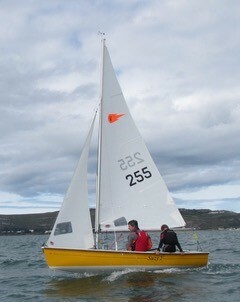 New main and jib 2012. Combi road trailer with new stainless steel launching trolley 2017. Full paperwork, certificates and bills. 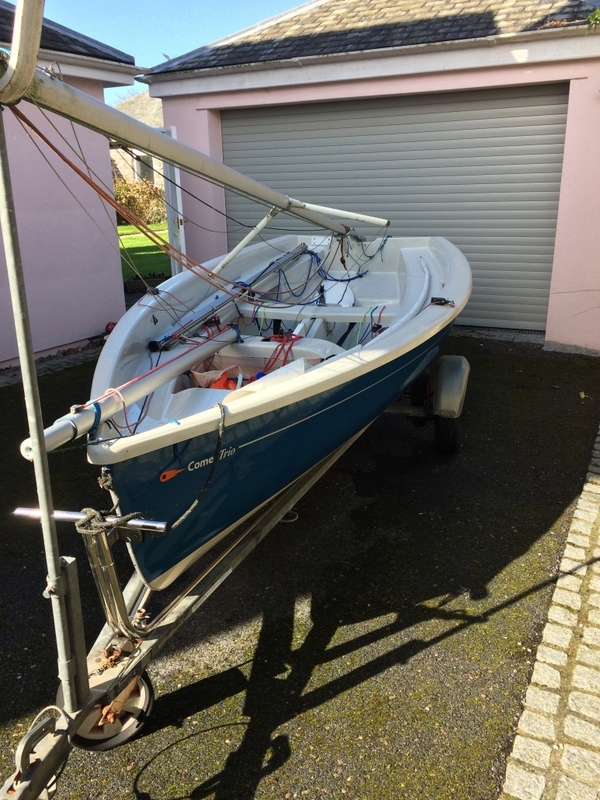 Reason for sale; getting old and now into keel boats! 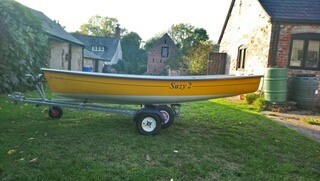 Hull yellow with iroko rubrails and rear engine mount. 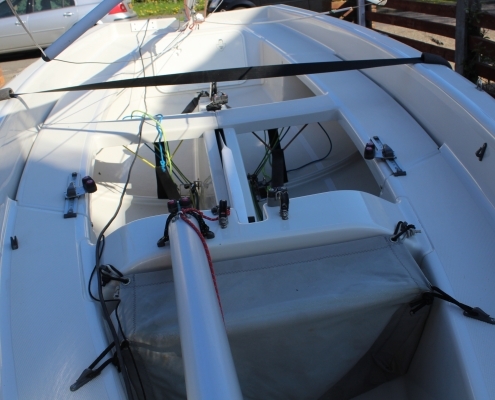 It is fitted with the jib-stick system and centre mainsheet for easy single handed sailing. 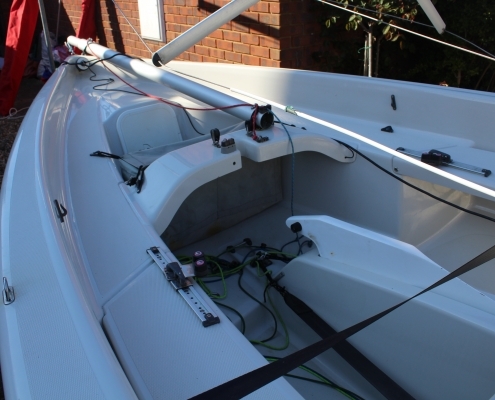 Comes with a mast up cover, trailing cover , mast and rudder bags. Oars and rowlocks , launch trolley and trailer. 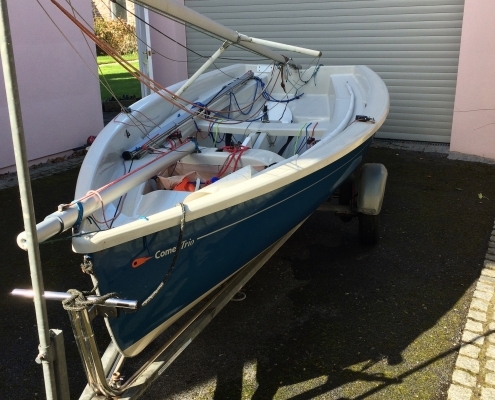 Very good condition kept indoors over winter and only sailed a few times a year. As it is not getting much use I have decided to sell. 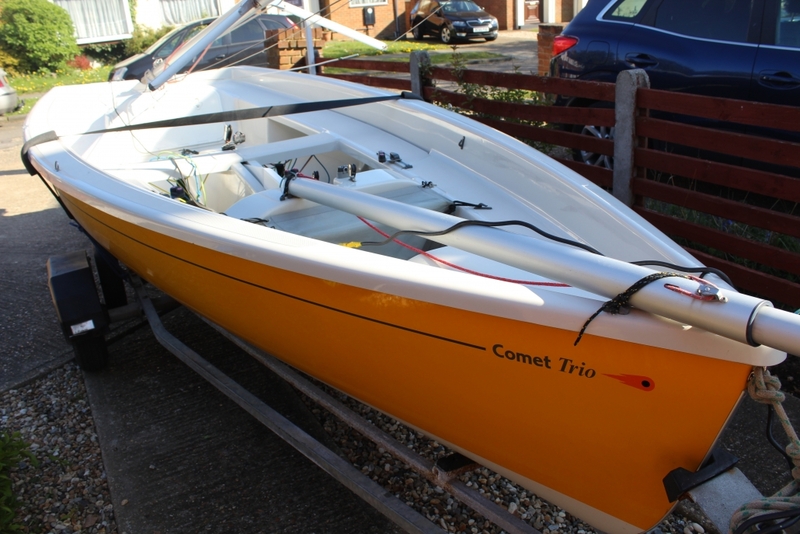 I have a Comer Zero (215) but sold it as had no time to sail unfortunately. 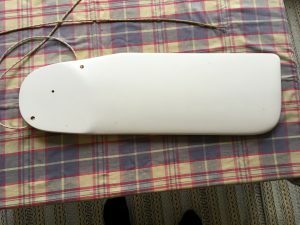 I was clearing my shed and came across a rudder – good condition. 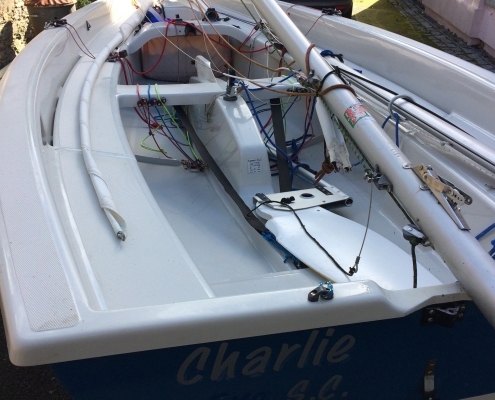 It can go centre mainsheet which was very successful but now back to standard. 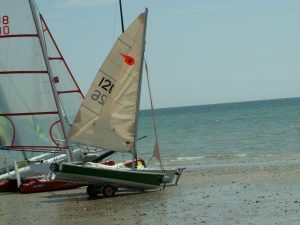 In the compound at CYC in Chichester.